Numerous conditions can affect ability of an individual to adequately process visual information. 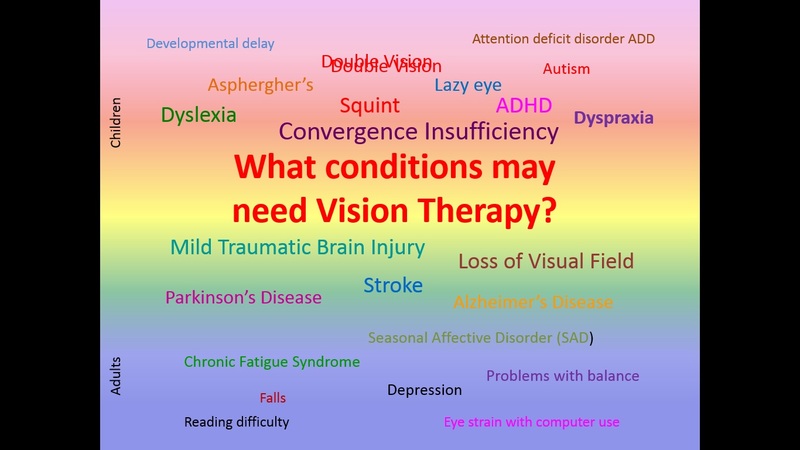 Vision related learning difficulties is an increasing problem, which has increased from 9% in the 1930s, through 17% in the 1970s, to 24% ten years ago and our research indicates that it will hit 30% by 2010! dyslexia, dyspraxia, ADD, ADHD, developmental delay, Asphergher's, Autism and they are all on the increase!